If you are a new homeowner or you’re just looking to bring a little life back into the home you have had for a while, changing your mail box is a great way to start. Bring your home into this century with a trendy, modern mail box, it is sure to make the first impression of your house a lasting one. 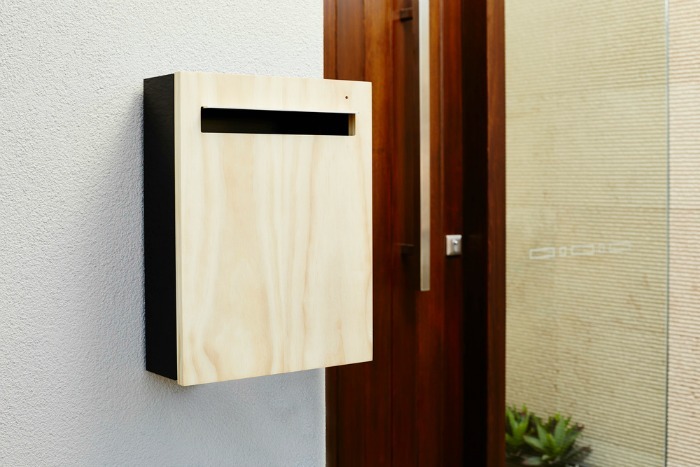 There are three things you need to consider before going out and purchasing the first mail box you see and that is what your mail box will be used for, what finish you want your mail box to come in, and what style of mail box would best suit your home. You can can do a quick search online to find a model you like and have it delivered straight to your door. So the first point we will go over is what you need to use your mail box for. I mean you can’t just pick your mail box based on looks if it doesn’t do all the things you need it to do, then it becomes pretty useless. You should look for a mail box that meets all of your letter and package needs, or maybe even a signal flag if you have outgoing mail. Many modern mail boxes have been upgraded and updated to meet our modern needs, for example, larger receptacle containers as most of us shop online and receive more parcels and packages than before, there are also more security feature to stop mail theft and identity theft, and easy access from the front and back to offer more convenience. You should think long and hard about what kind of mail you receive or what kind of mail you will be receiving so when the time comes to choose a mail box you know what features you should be looking for and then you can go on to decide from there. Now the next thing you should look at is the finish of the mail box which might seem a bit silly since only a couple of years ago, no one really thought about what finish their mail box should be. So many neighborhoods had the same stock standard mail boxes and that’s the way it was for a long time. Now there is a large variety of colours and finishes you can get for your mail box. Some of these mail box finishes include nickel, copper, bronze, antique copper, brass and for the more dramatic finish you can even find mailboxes in red and eye catching stainless steel. You can find a really wide variety of mail box finishes and you should base your choice on your own personal taste and something that you think will suit your home. The final thing you should think about is what kind of modern mail box will look best for your home. 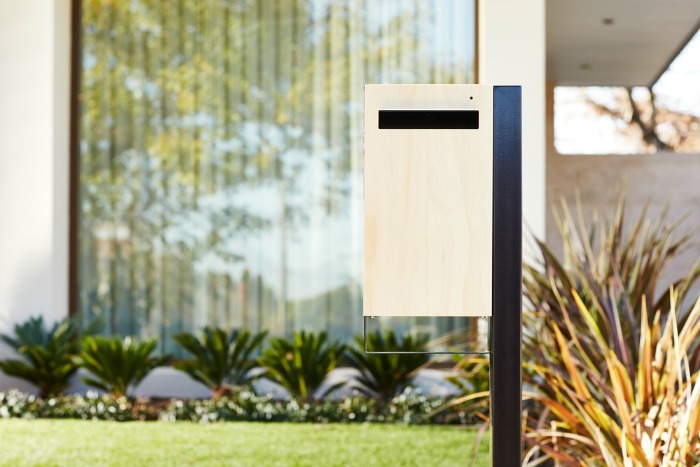 I think it’s safe to say that most people have a mail box that just blends into the background so getting a modern one is going to make your home look chic, elegant, and up-to-date. For example, a modern aluminum or stainless steel mail box will look sleek and smooth. As most of the newer models opt for a minimal look, this is completely normal for modern design not to draw your eye to one feature but to the whole design. 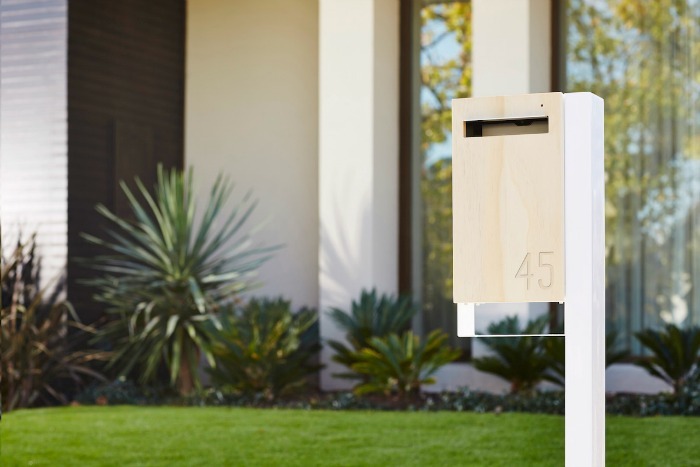 That is why modern mail boxes work so well with any kind of home, there really are a lot of options for you to choose from. You can find many mail boxes at local home depot stores, or furniture warehouses that stock outdoor furniture as well. You can also look online to find and compare models and find something you like, as well as compare models and prices side by side all from the convenience of your own home and most websites offer delivery too so you can have it delivered straight to your front door.